There’s been a lot of recent chatter in many circles about the PEG Access and Cable Related Enterprise Fund. 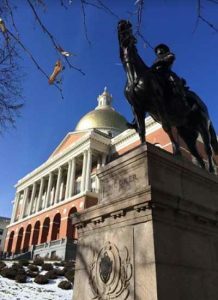 As you’re likely aware, Massachusetts laws regarding Enterprise Funds were passed in 2015 and say that any city or town in the Commonwealth may set up a fund to hold and protect monies collected by the municipality from cable companies operating within their borders – the operative word there being “may”. The law does not specifically mandate that a municipality must set up an Enterprise Fund. Media centers who have always received funding directly from the cable companies should urge the municipality they serve to continue this practice. After all, this law was designed not to take funding away, but to protect community media centers from the wrongful practice of using franchise fees for projects not associated with cable television. We at MassAccess are aware that some of you worry that the municipality you serve may well see this as an opportunity to repurpose PEG franchise funding. We have also heard concerns that setting up this fund may cause the media center to have to petition town meeting for appropriation of capital funds. We at MassAccess firmly believe that town meetings don’t have jurisdiction over franchise funding – the issuing authority does. We also believe that wrongful appropriation of funding is nothing new. It should be reported and dealt with legally. The Board of MassAccess continues to discuss this and many other issues facing community media in Massachusetts. Currently, we are working with the Department of Telecommunications and Cable as well as the Department of Revenue/Division of Local Services to get a full interpretation. If you have questions or concerns about this or any other law or practice that concerns community media in your town, please feel free to reach out to me or any of the other members of the MassAccess Board of Directors. We firmly believe in the power of community and welcome your input.